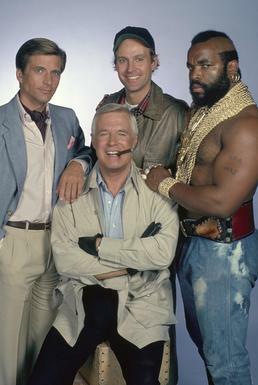 Required viewing for children young and old used to be the A team. It was fairly formulaic. Within an hour, you knew that B. A. Barracus would refuse to get on a plane, only to be tricked or sedated by the others in the team. Howling Mad Murdoch would get to jump into some kind of plane or helicopter and pilot it with ease. Faceman would use his charisma to acquire whatever the team needed at the time. My favourite bit was where the team would be trapped somewhere in an old factory or barn with a clapped out vehicle of some sort. The iconic music would burst into life as they welded and bolted unlikely looking accoutrements onto their battle wagon of choice before going out and blitzing the bad guys. Zillions of bullets would fly off in every direction and miraculously, no-one would be killed. And at the end of it all, Colonel Hannibal Smith would utter those immortal words “I love it when a plan comes together”. The irony of course was that he never, ever seemed to have a plan up front. The truth is, however, that no endeavour of any substance is likely to succeed without a plan and the bedrock of any plan is formed by the estimates for each task. I still remember the first programming estimate I ever made. It was for a survey that was to be sent out to loads of people on floppy disk. The recipients would put the disk into their computers and answer questions, saving the answers back onto the disk before returning it. I was young, overconfident and lacking experience. I sucked my breath through my teeth (because that’s what I thought people did when estimating) and came up with my answer; a day. One working day. Utter madness. The design alone would take longer than a day. Her Majesty’s Royal Artillery know that their entire craft is based on estimation. The forward observer has to estimate where he is on a map. He radios in the grid co-ordinates of where he estimates he wants the barrage of artillery to land. The guy in charge of the battery has to estimate the atmospheric conditions and wind speed before the gun fires an initial sighting round. If all goes to plan, the forward observer will see where the shot lands and radio back with feedback. Another shot follows and so it continues until the forward observer has seen sighting shots on both sides of the target, at which point he radios a single word; “bracketed”. The battery fires another shot exactly between the two which is hopefully direct on target, at which point the forward observer radios back “fire for effect!” This innocuous three word command results in all hell being let loose on the poor target. This protocol is the only way to get a programmer to give a good estimate. Programmers hate giving estimates because it creates an expectation. Understandably so, because the craft of computer programming is complex and you don’t know everything up front. You need a couple of sighting rounds to get on target. Firstly, ask them if they can think of a similar task that took less than the task in question and how long that took. Then a similar task that took longer. If the guy’s worth his salt, these two extremes won’t be too far apart. Bracketed! The estimate you’re looking for must lie between the two. Once you have these estimates from everyone in the project, fire for effect!